One aspect that is apparent when flying with Clay Lacy Aviation is the inherent caliber and talent of the company’s pilots. These men and women are some of the best in the industry, display a history of excellence and continually represent a level of dedication and work ethic that is notably respectable. Pilots— more than any other profession— can identify with Clay Lacy (the man) and his focused love of aviation. These men and women continue the legacy that Clay built and lead that forward into the future. 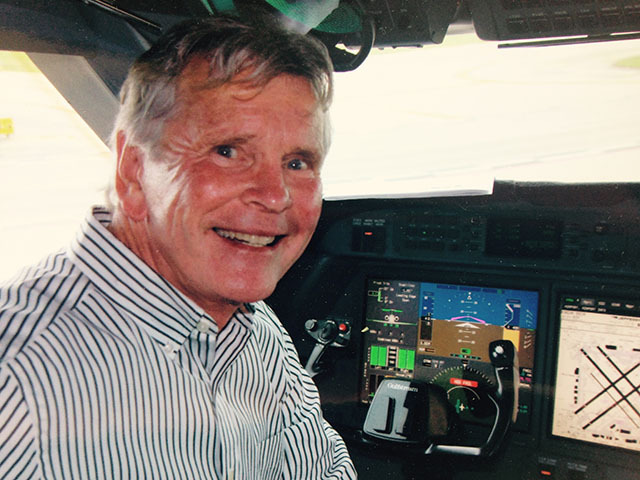 One such pilot is Bob Greene, an extremely experienced commercial airline pilot before joining the corporate aviation world, shares his perspectives, advice, and insights on his life as a pilot for Clay Lacy Aviation. Clay Lacy is a time proven, well-known, and established industry leader in corporate aviation. Decades of growth, marketing, innovation, and creative genius catapulted the company to historic levels as the corporate flying market expanded worldwide. Clay Lacy offers a variety of services from maintenance to fuel, long and short-term parking for aircraft, varying management arrangements, pilot resourcing, training, charter, and much more. The company is a “city within a city” that has adjusted to a rapidly changing environment— while others have failed or never hit their stride. A typical day for a Clay Lacy charter pilot begins with the ongoing planning of the day’s flight. Proper planning and the ability to think and manage ‘outside-of-the-box’ is a natural quality for a successful pilot. Constant trip changes, daily revisions, and varying types of client requests demand foresight and flexibility seldom seen in the 121 FAA regulations found in commercial aviation. A typical corporate day differs significantly from anything our counterparts at scheduled service operations like Delta, United, Southwest, or American could imagine. I’ve been blessed to experience both sides of this screenplay— commercial aviation and corporate aviation— and have come to personally find a corporate aviation career far more rewarding as a job. To manage, plan, and execute the varying types of flights that we conduct, worldwide, at Clay Lacy requires attention to detail and a constant “what if” management style. 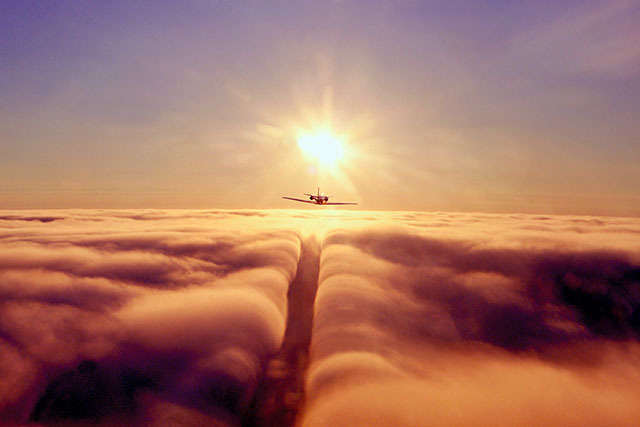 A professional pilot must always think beyond the moment and plan for the unexpected scenarios. CRM, or crew resource management, is a major part of a pilot’s job and necessary for communication during the duration of the flight. CRM cannot be overstated or undervalued as a professional pilot. Corporate aviation has a unique power to entice and stimulate most pilots even after years in the industry. It is a different type of — with both daily rewards and daily challenges— that can test one’s reserve. However, when crossing the Atlantic on a winter’s eve of ever changing Northern Lights or the awareness mid-Pacific of the vast distance to your ETOP’s alternate, we realize just how lucky we are to be managing these amazing machines. Every new aircraft and type rating is a mountain of excitement that keeps even the most accomplished aviator humble, as he educates his craft, to the new machine. Frankly, ‘the edge-of-the-seat adrenaline’ is when pilots are at their very best. Budding aviators frequently ask me what it takes to be a successful pilot. This a complicated question as there is no difference in technical abilities between corporate and airline pilots. To command a Boeing 747 or Boeing 777 is a long road of recurrent training, transitions, type-rides, lonely nights and missed soccer games. The same goes for those in the corporate environment. To grasp, absorb, and manage a Global, Falcon 900, Gulfstream G650, or Gulfstream G550 does not happen overnight. Patience is a difficult value to learn in the early years of flying as ability, ego, and shortsightedness can often impair one’s vision for their future. It takes time and maturity to manage the enormous responsibilities of the job and the difficult situations that can arise. A wrong decision in the corporate world can lead to a visit to a resume company. In contrast, the airline environment is more understanding and accepting in regards to the myriad of difficulties, decisions, and outcomes that a pilot may face. Clay Lacy Aviation maintains a pilot managed Flight Operations Department with qualified and current managers  filling  the daily, and demanding charter requirements. Pilots managing pilots versus “bean counter” DO’s, or non-flying management, are one of the many reasons Clay Lacy succeeds as a company. Clay— the man’s— love of flying, his focused endearment to aviators, and the skill and art that they possess is part of the core we retain in this almost 50-year-old corporation. No one understands a pilot better than another pilot. Not his daughter, mother, wife, or best friend. It takes tenure and a direction in management to support and inspire a pilot with professionalism, dedication, respect, and a commitment to never accepting mediocrity. Clay’s focus and guiding light will forever define who we are, how we fly, and how we safely negotiate and direct our paths professionally. 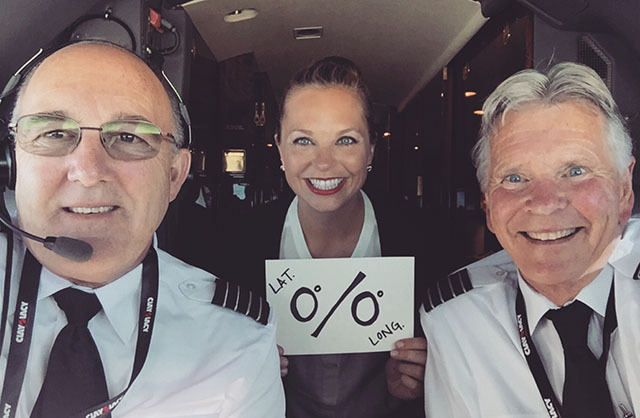 Being a pilot is a long, fun journey— one that I’m grateful to share with Clay Lacy Aviation. How do you know if the private jet operator, and the flight crews you are flying with, maintain excellent safety ratings? Find out by reading this article.